When you organized your Blu-ray movies or music CDs did you do it alphabetically or by genre? Either approach works. What doesn’t work is just stacking those kinds of things up haphazardly. That makes it extremely difficult to find exactly what you’re looking for without wasting a lot of time. That same approach to organization could be taken throughout the rest of your home. Whether it’s a cabinet in the kitchen or shelf in the closet, everything should have a proper place. The challenge is always getting that object to that place! If you have been putting off organizing your home, then it could be time to bring in Junk King Denver. 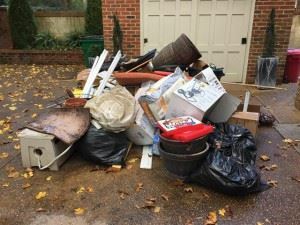 These are the junk removal specialists who can power up your organization project by helping you remove all the clutter in a single appointment. Sometimes all it takes is a deadline to motivate someone into doing a project they’re not that into. That especially holds true to organizing around the house. However, if you know you’ve got a two-man moving crew and huge truck heading over to your place on a specific day and time, then you’ll kick it into gear to sort through all the things you want to get rid of. Remember, once the team from Junk King Denver shows up they’re going to be doing all the lifting and loading. That should make a big difference when it comes to deciding what you want to get rid of. You’ll just be pointing to these things and watching them fly out the door! In addition to removing all the clutter from the inside of your home, that same two-man moving crew from Junk King Denver can also work wonders around your backyard. Although you don’t think of using, the word organization when it comes to a backyard there still plenty of objects you can remove. Anything that is broken, rusty or rotting away should be taken away by Junk King. That will clear up a lot of space and might inspire you for a little landscaping makeover. The big benefit with hiring a company like Junk King Denver actually happens long after they’ve left your home. This is when Junk King Denver will be recycling the bulk of what they collect from your property. That makes them an eco-friendly junk hauler that is good for Denver. You don’t have to live with disorganization and clutter as long as Junk King Denver is just a phone call away. This entry was posted in junk removal and tagged clutter, Junk King, junk removal, organization on May 30, 2016 by Paul Durant. Last updated August 15, 2017 . Will this be the summer you try a new marinade for your chicken? Are you looking to utilize a different rub for your ribs? Maybe you want to give your burgers a boost by stuffing them with cheese. 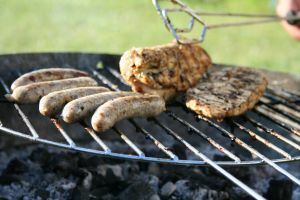 Yes, this could be a great summer for grilling as long as you’ve got the tools and the grill ready to be fired up. Of course, to truly enjoy all those wonderful meals you’ll be creating on the grill you’ll want an inviting environment around the backyard. It would be horrible to cut into a juicy steak while staring at a stack of old tires or rusty fender. Before you fire up the grill, you should bring in Junk King Denver to clear out all the debris in your yard. Most of the junk removal sessions handled by Junk King Denver involve removing furniture from basements or taking away rubbish from the garage. Those are all valuable reasons for hiring Junk King but their work goes far beyond the interior of your home. The crews assigned to your junk removal session won’t be afraid of getting their hands dirty out in the backyard. They won’t have any problem removing heavy things like bricks, stones or pavers. If you’re tearing up an old deck, then you definitely want to bring in Junk King to remove all that construction debris. The Junk King Denver crews aren’t just about lifting and loading. They are also all about taking things apart. That can make a big difference in deciding what you want to get rid of around the backyard. Those crews won’t have any trouble taking down a shed or swing set. They’ve even been known to climb a tree and remove a fort! If you want it gone, then all you have to do is ask Junk King. The cost for this service is in based on how long the crew will be working or how much time it will take for them to dispose of all the things they collect. Instead, it’s based on volume. It all comes down to how much space your junk will fill on the back of the truck. It’s a onetime fee that covers everything from start to finish. Get your summer off to a good start by clearing out the debris from your backyard with an assist from Junk King Denver. This entry was posted in Denver Yard Waste, junk removal and tagged backyard, grilling, Junk King, junk removal, summer on May 20, 2016 by Paul Durant. Last updated August 15, 2017 .